09:44 | Antarctica, Feb. 1. A Colombian expedition visited Peru's Machu Picchu Scientific Base in Antarctica (ECAMP) and its oceanographic research vessel BAP Carrasco on January 18-21. Named Almirante Campos (Admiral Campos), the expedition comprised a high-level delegation and a team of scientists on board the ARC 20 de Julio ship. The Colombian delegation was headed by Deputy Foreign Affairs Minister Luz Stella Jara and included important authorities like Deputy Minister of Defense for Strategy and Planning Mariana Martinez Cuellar. Also on board were Ambassadors of Brazil, Chile, and Peru to Colombia, as well as 16 outstanding authorities, and companies linked to the Antarctica-related theme. The expedition was welcomed and aided by Peru's Foreign Affairs Ministry Antarctic Affairs Director Minister Counselor David Gamarra, and the ANTAR XXVI expedition head Colonel Ulises Cabanillas. 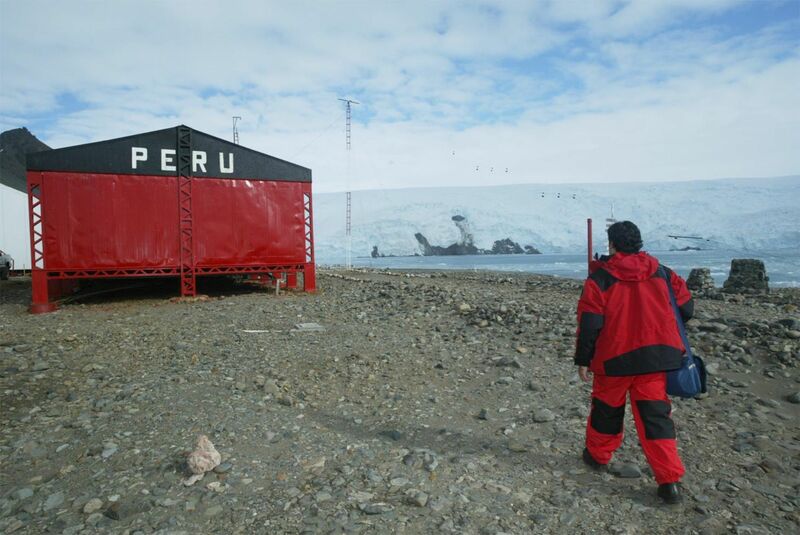 Peru shared its experience as a consultative member of the Antarctic Treaty for the past three decades. Likewise, visitors were shown part of the Antarctic research-related information collected by Peru during 26 expeditions to the white continent.